It is that time of year where you might end up getting some money or a gift voucher for Christmas and you might fancy buying yourself a new book. (Or maybe that’s just me???). 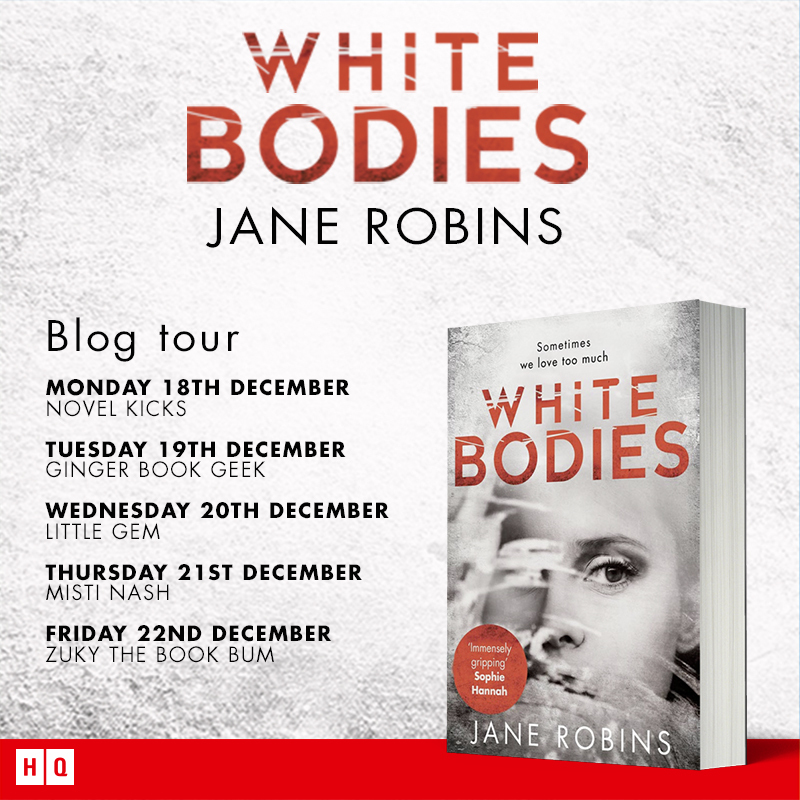 Anyway, today I have the privilege of presenting an exclusive excerpt from a really exciting Thriller that is released just after Christmas called White Bodies by Jane Robbins. So sit back and take a little sneaky peak at this upcoming release. The evidence suggests that Felix showered. Beyond that, I know practically nothing about his final hours on this earth. All I have is the odd scrap of information and the patchy impressions of the bystanders, and it’s like I’m at the theatre, looking at the stage and seeing only the supporting cast, the scenery and the arrangement of shadows. All the important elements are missing. There are no principal actors, no stage directions and no script. Forty minutes later, he was back, dropping his head to catch his breath, panting and sweating. He straightened up and, now noticing the receptionist, said that he’d sprinted all the way to the golf course, running the perimeter and the long path through the woods back to the hotel. He thought that the sun glancing through the trees had been magical, as though life was just beginning (how extraordinary that he should say such a thing!). Then he took the stairs up to his room, two at a time. He didn’t come down to breakfast or order anything to be sent up, not even the continental breakfast that was included in the room rate. His colleague, Julio, said he was surprised when Felix failed to attend the first session of the conference. At the mid-morning break, Julio carried a cup of coffee and a biscuit up to the room, but found the Do Not Disturb sign hanging on the door. He thought Felix was unwell, sleeping maybe, so he drank the coffee himself and ate the biscuit. ‘We missed him at lunch,’ he said, ‘and again in the afternoon session. By three o’clock I was calling his phone many times, but my calls went to voicemail.’ Julio felt uneasy. It was so unlike Felix to be unreliable, so he went upstairs one more time to hammer on the door, then he summoned the hotel manager, who arrived with a key. The two men were struck by the unnatural stillness of the room, its air of unreality; Julio said it seemed considered, or planned, like a tableau vivant with Felix as the centrepiece, lying on his back on the bed in a strange balletic pose, right arm cast out across the duvet, left leg bent, bath robe open like a cape, grey eyes gazing at the ceiling. His left arm was dangling down the side of the bed, fingers suspended above the floor, and the hotel manager, who had a degree in the History of Art, was reminded of the pre-Raphaelite painting of the suicide of Thomas Chatterton. Except this didn’t look like suicide; there were no pill bottles or razor blades or other signs. Dr Patel arrived and the receptionist stood by the door while the doctor conducted her examination. Her professional opinion was that Felix had suffered a heart attack or had some sort of seizure after his morning run. She left, and the receptionist took photographs of Felix and of the room – the bedside table, the pristine bathroom, the opened shower door, the view from the window and, finally, the untouched hospitality tray. ‘I know that was weird,’ she said. ‘But it felt like the right thing to do, to make a record.’ Maybe she thought her photos might become important, that they’d suggest that something about the scene was wrong. No one else had that sense, though. When the results of the post-mortem came through, they were in agreement with Dr Patel – Felix’s death was due to heart disease. As simple as that, he had collapsed and was gone – and for a while it seemed that he’d simply vanished. The world had swept over him like the tide coming in. But then the funeral happened. I trekked out of London that day to a pretty Berkshire village with a Norman church sitting among gravestones and windblown copper-coloured leaves. When I saw it, I thought that Felix, who was born and raised in America, was having a very English final moment, though the mourners who were arriving in small solemn groups were from his international life. Solid men in sharply cut suits; flimsy, elegant women in heels. I watched them from a distance – in fact, from a broken bench set against the churchyard wall, where I was trying to calm down. Eventually, I slipped into the church and stood at the back. My sister, Tilda, was the person on show and she walked slowly up the aisle like a melancholy bride. I tried hard, really hard, to get inside her head at that moment, and I conjured up a spectacular array of emotions – from profound grief and loss, to exhilarating release and relief. But nothing felt right. As always, I found her confusing, and I was reduced to noticing her expensive clothes. The black silk dress, the tailored jacket, doubtless costing a thousand pounds or more. And I watched her take a place in the empty front pew. On her right, in front of the altar, was Felix’s coffin, under a cascade of white lilies; and to her left, on a wooden stand, a giant photo of his smiling face. A few minutes later, Felix’s mother and father slipped in beside Tilda and then his brother, Lucas. There was the slightest of nods towards my sister who sat perfectly still, gazing at the floor. The first hymn was a thin rendition of ‘The Lord is my Shepherd’ – but I found that I couldn’t sing. Instead I slumped against the back wall, feeling faint and nauseous, overwhelmed by the occasion. Not that I was mourning Felix, although the sight of his hunched-up, grieving family was upsetting. It was more that I was sick with knowing too much. On the day of his death, I’d waited for the police to turn up at my flat or at the bookshop. It was the same on the morning of the post-mortem. And now, at the funeral, it seemed certain that police officers were waiting for me outside the church, stamping their feet to keep warm, sneaking an illicit cigarette, and that as soon as I stepped out of the gloom into the autumn sun I would hear my name. Callie Farrow? Do you have a minute? Felix and Tilda seem like the perfect couple: young and in love, a financier and a beautiful up-and-coming starlet. But behind their flawless façade, not everything is as it seems. Worried about the psychological hold that Felix seems to have over Tilda, Callie joins an internet support group for victims of abuse and their friends. 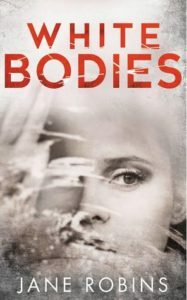 However, things spiral out of control and she starts to doubt her own judgement when one of her new acquaintances is killed by an abusive man. And then suddenly Felix dies—or was he murdered? 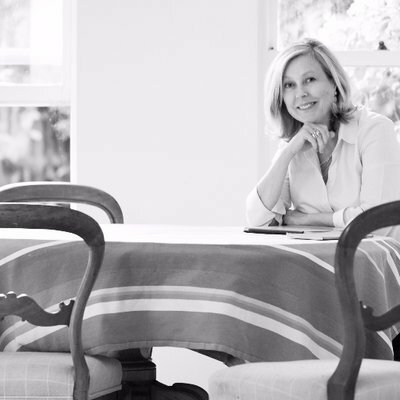 Jane Robins began her career as a journalist with The Economist, The Independent, and the BBC. She has made a speciality of writing historical true crime and has a particular interest in the history of forensics. She has published three books of nonfiction in the UK, Rebel Queen (Simon & Schuster, 2006), The Magnificent Spilsbury (John Murray, 2010), and The Curious Habits of Doctor Adams (John Murray, 2013). More recently, she has been a Fellow at the Royal Literary Fund.